The Oaks Club is one of the few country club community with homes on Sarasota Bay. Located off Highway 41 in Osprey, FL, the Oaks Club is convenient to downtown Sarasota as well as Siesta Key Beach. Members of this privately owned club enjoy two championship golf courses, a tennis facility with 12 Har-Tru tennis courts, a grass croquet court, and exceptional dining. 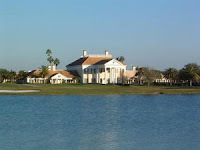 The Oaks consists of three guard gated communities: The Oaks Clubside, the Oaks Bayside and the Oaks Preserve. Community life is active in the Oaks as members are offered an outstanding social calendar for all! The Sarasota MLS reports more than 50 Oaks Sarasota real estate listings for sale. Prices of single family homes range from $349,500 for a maintenance free home in the Oaks Preserve to $4,900,000 for a prestigious address on Osprey Point Road in the Oaks Bayside. This Georgian luxury estate home has bay views. Call the John Allen Team at 941-544-6467 for more information about the Oaks Club real estate options and its outstanding country club lifestyle in Sarasota, FL. If you are interested in learning more about Sarasota golf club communities, our agents can help you with a selection and guide you through a smooth real estate transaction. 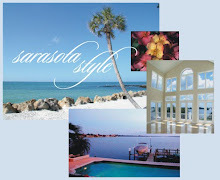 We serve the entire Sarasota real estate market and have a team of experts ready to assist you.